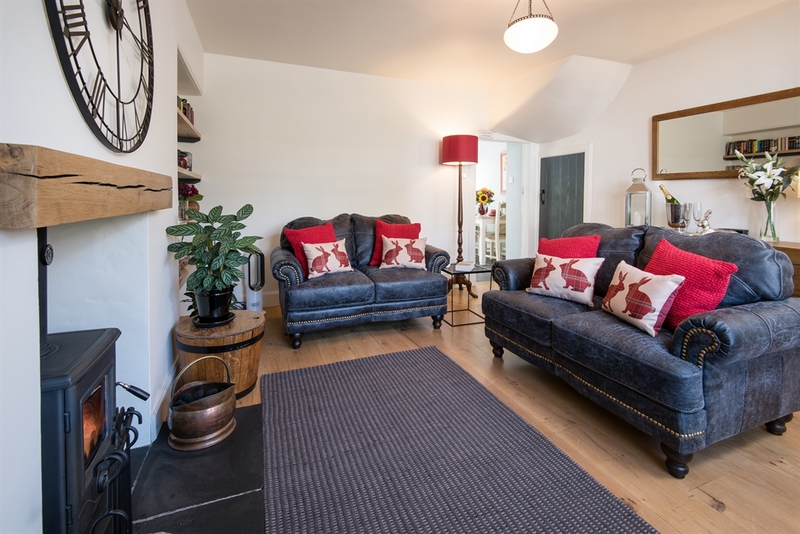 Luxury holiday cottage in the conservation village of Bowden, Melrose. 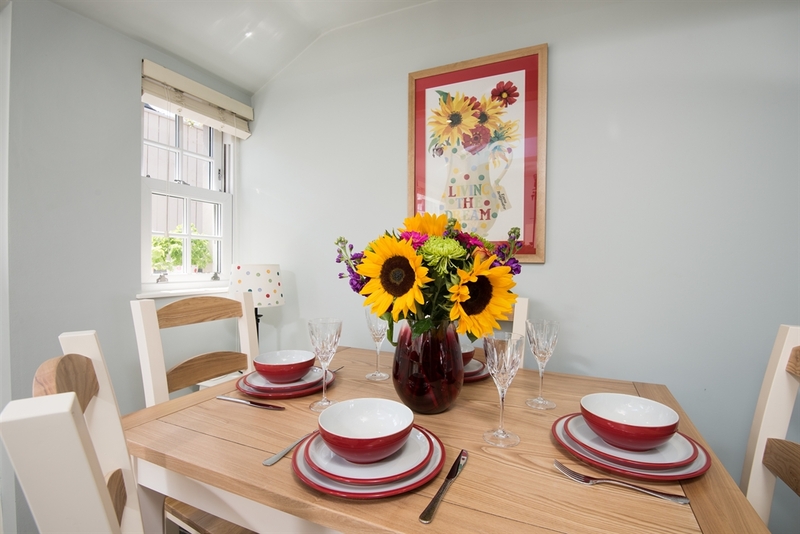 Beautiful two bedroom detached cottage can sleep up to 4 people. Wood burning stove and secure outside storage. 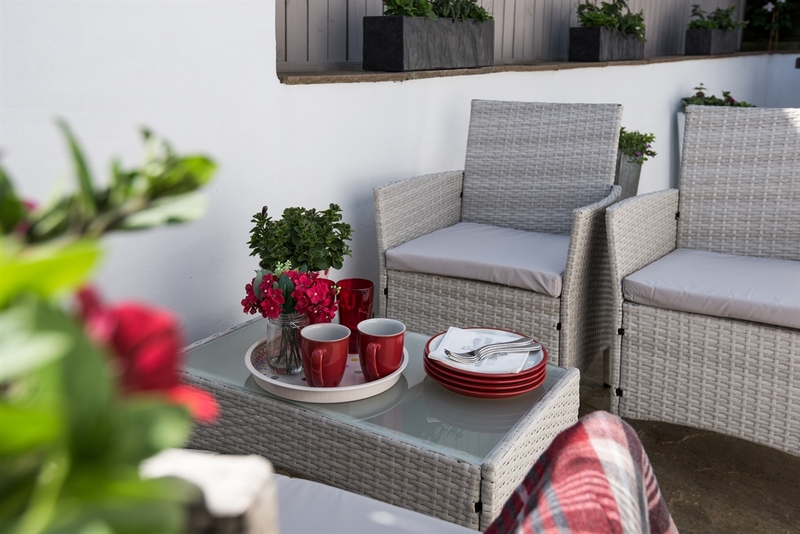 Ideal for couples, friends or families. Couples romantic retreat. Child friendly. Dog Friendly. Newly launched June 2016……. 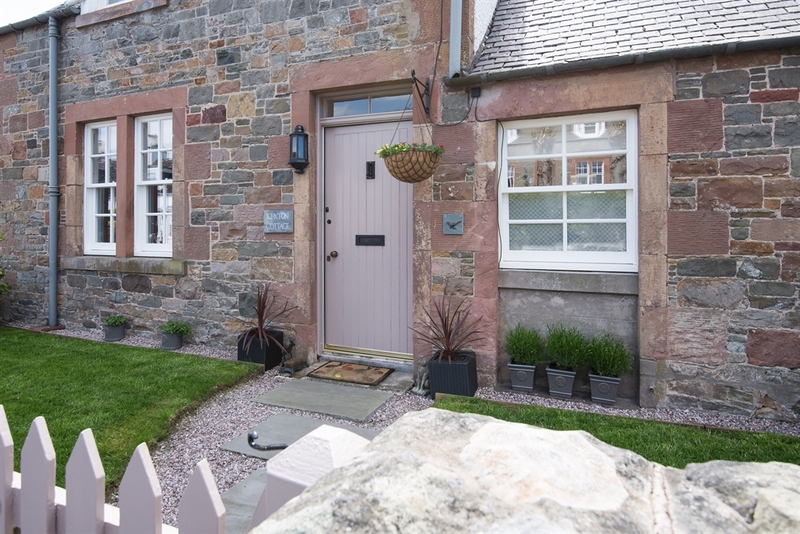 Luxurious and romantic 1890’s holiday cottage in the conservation village of Bowden, Melrose. Child friendly and dog friendly. Perfect couples getaway. 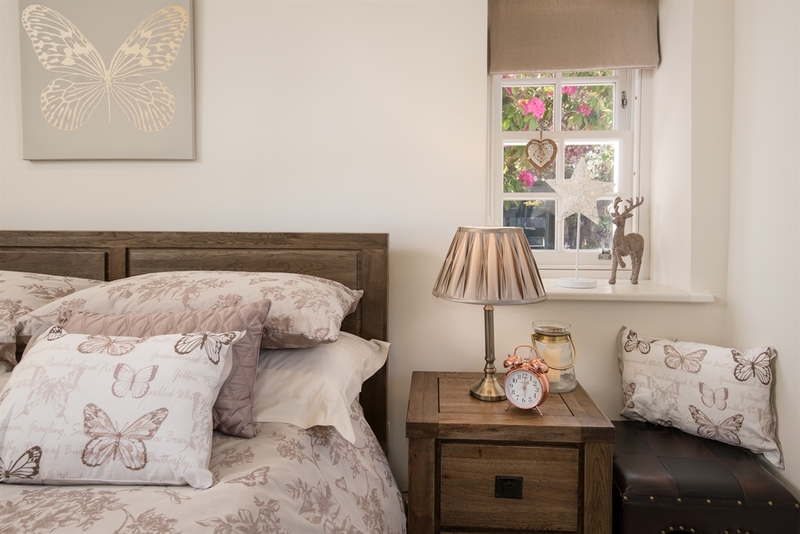 Oozing character and charm, this enchanting period cottage has all the right touches for a heavenly getaway. 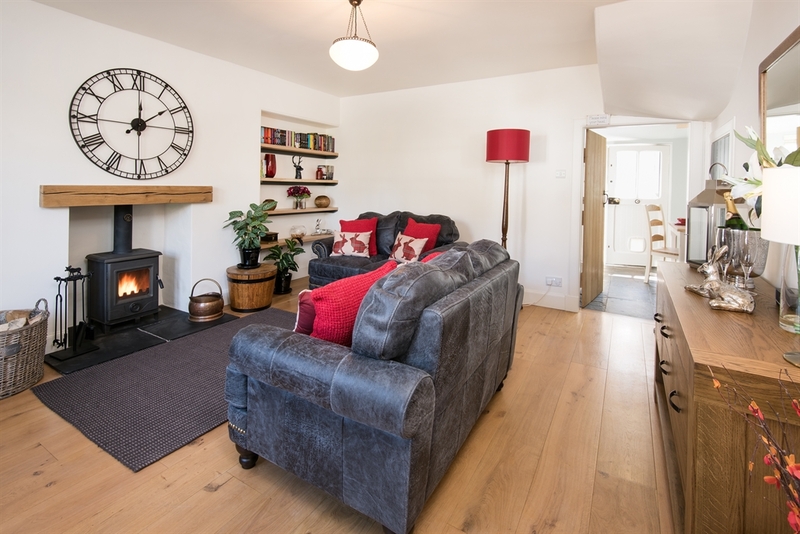 Imagine gentle country walks from the doorstep, straight onto the Eildon Hills or St Cuthberts Way and returning to cuddle up in front of the roaring woodburner cradling a creamy cappuccino or dram, or simply easing your way into the day with a lazy brunch on the private patio listening to the tranquil sound of birdsong. Beautifully presented throughout, the attention to detail stands out, with plenty of little touches to make your stay a special one. 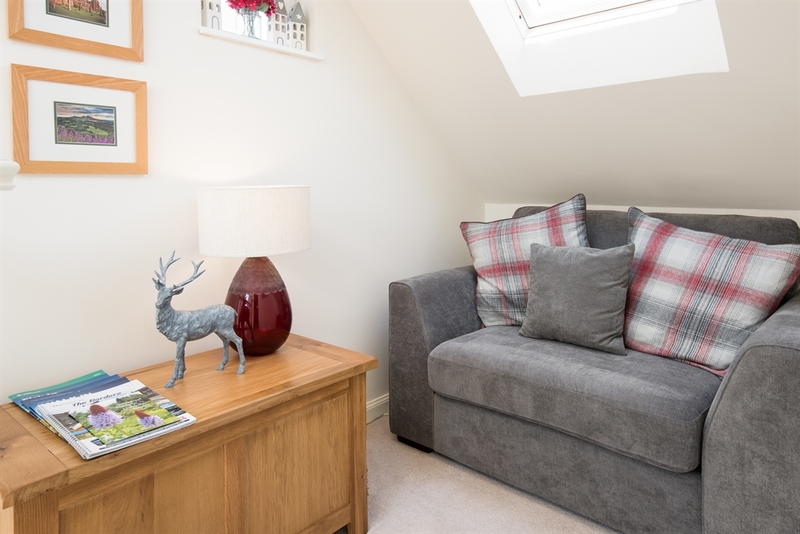 The interior has been carefully styled to create a feeling of warmth and ambience tied together with a gentle scheme of soft whites and calming neutrals along with one or two cosy accents for a bright pop of colour. 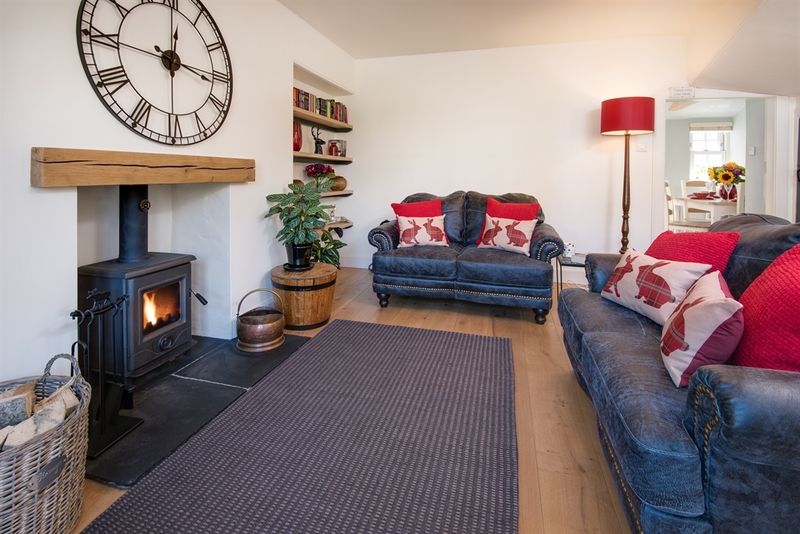 The sitting room is perfectly sized for couples’, families or friends with two generous sofas in soft saddle leather positioned to keep you cosy around the woodburning stove. 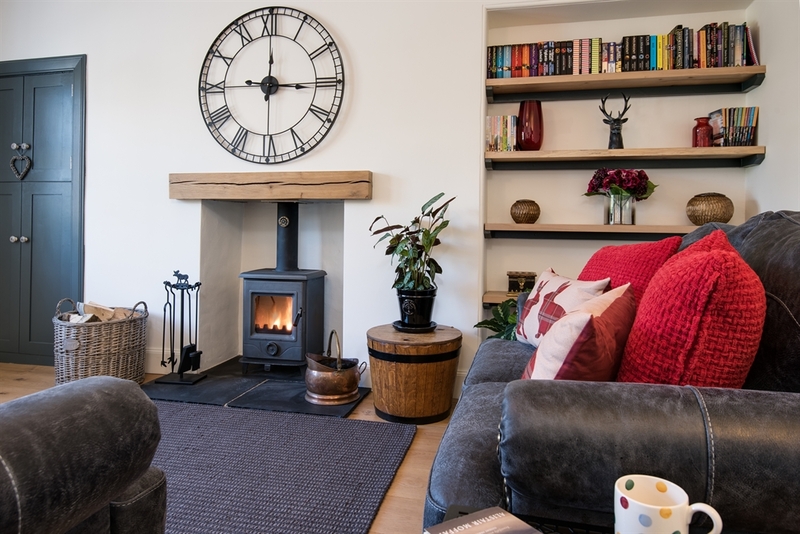 The cottage benefits from high speed fibre broadband offering fast internet connectivity, and for entertainment, a Smart TV offers plenty of media options but which can be cleverly hidden away when you want to switch-off and enjoy some quiet time with a good book. There is also a good supply of books, games and DVD's to suit all tastes and ages. 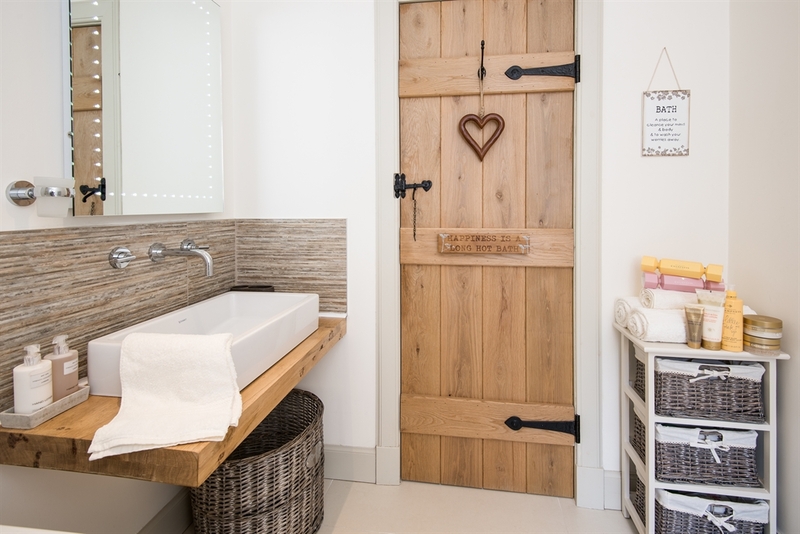 The sweet country kitchen has a belfast sink, oak worktops, oak beam and real slate flooring. 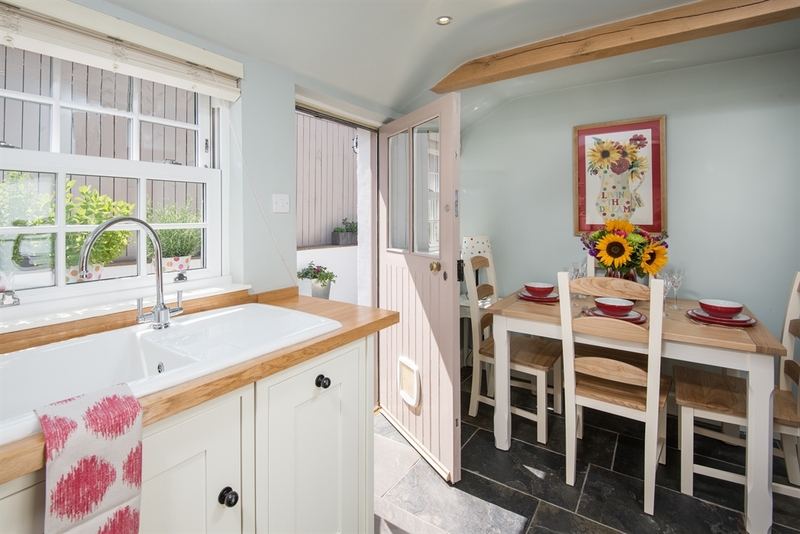 It benefits from underfloor heating and has lots of lovely touches such as Emma Bridgewater pottery, quality Denby crockery and hand painted tiles from Maggie Mumford. Children have their own beautiful handpainted crockery and sweet mini cultery set. 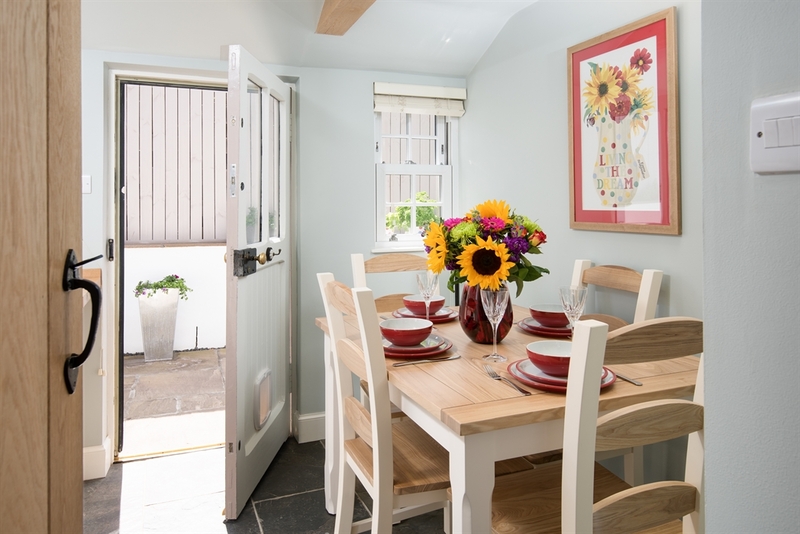 The dining area has seating for four and leads out to a small but quaint private patio with garden furniture and a Weber gas barbecue for alfresco cooking and dining. 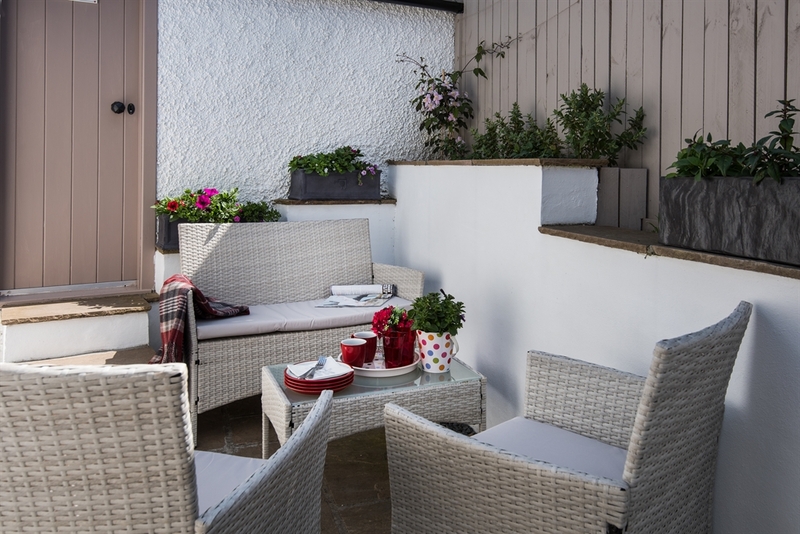 The patio is filled with pretty colourful planters giving the outdoor space a Mediterranean feel. 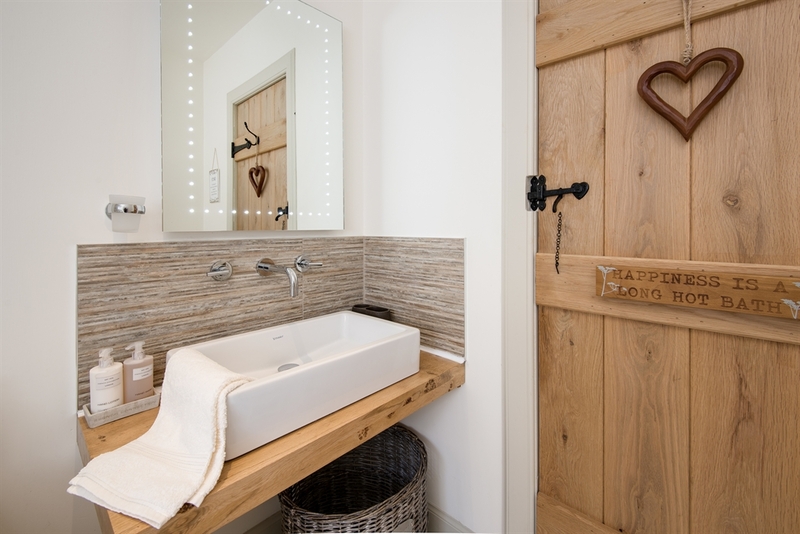 The smart contemporary bathroom again benefits from underfloor heating. Luxurious soft towels, fluffy bathrobes and luxury spa toiletries are provided for a little pampering. 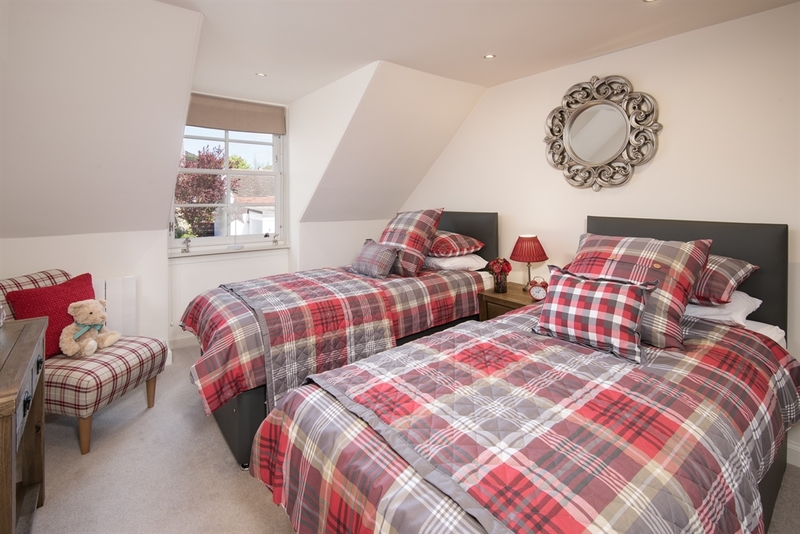 The comfort continues into the ground floor master bedroom, and upstairs there is a tiny snug filled with natural sunlight leading to a second bedroom which can be configured to twin or superking to suit you requirements. The accommodation sits on two floors. Front door leading into a bright hallway. 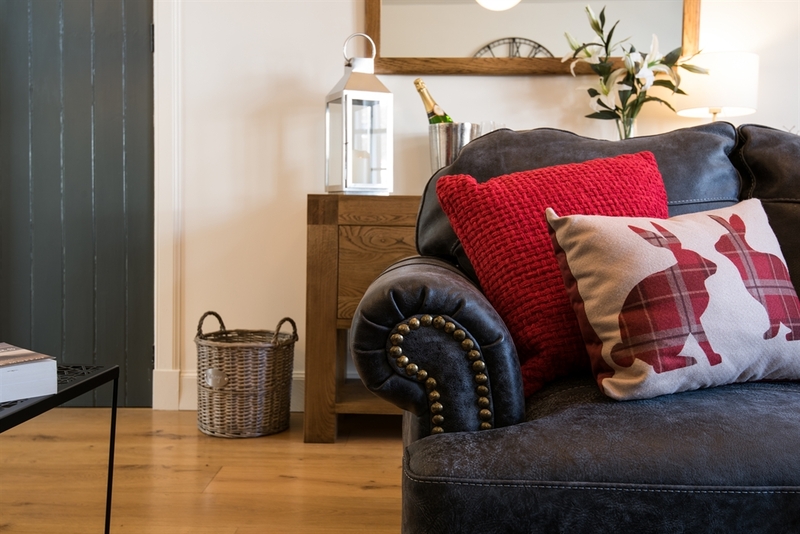 Sitting room – two large double sofas provide plenty of seating space for rest and relaxation. Woodburning stove (logs supplied). Technology includes a Smart TV, Blu-ray DVD player, Bose soundlink mini 2 bluetooth speaker. Books, DVDs and board games are provided. 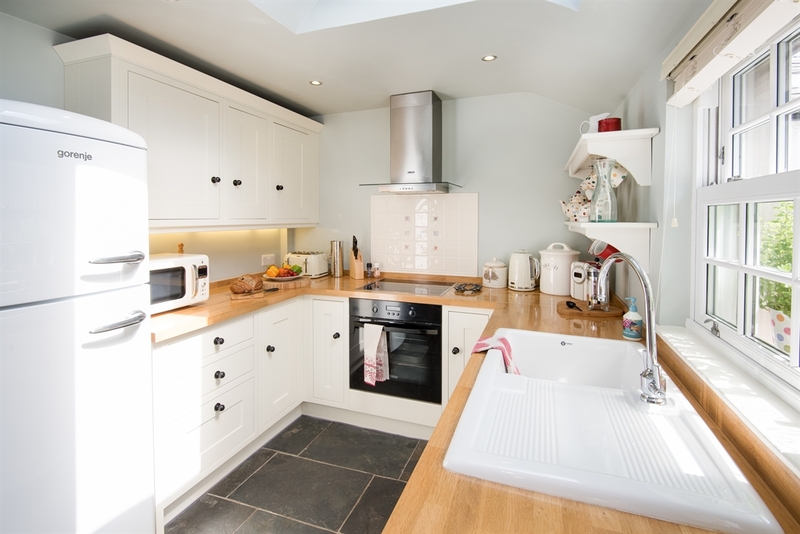 Kitchen/dining – fully equipped with induction electric hob and electric fan oven, large retro fridge/freezer, dishwasher, microwave. 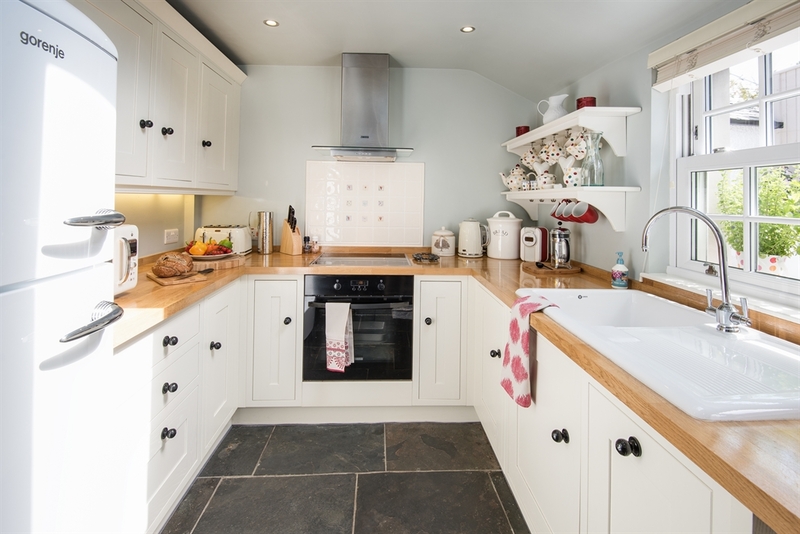 The kitchen features quality Emma Bridgewater and Denby crockery. DAB radio with bluetooth. Dining table with seating for four guests. A washing machine and dryer sits in a separate laundry which is accessed from the patio garden. 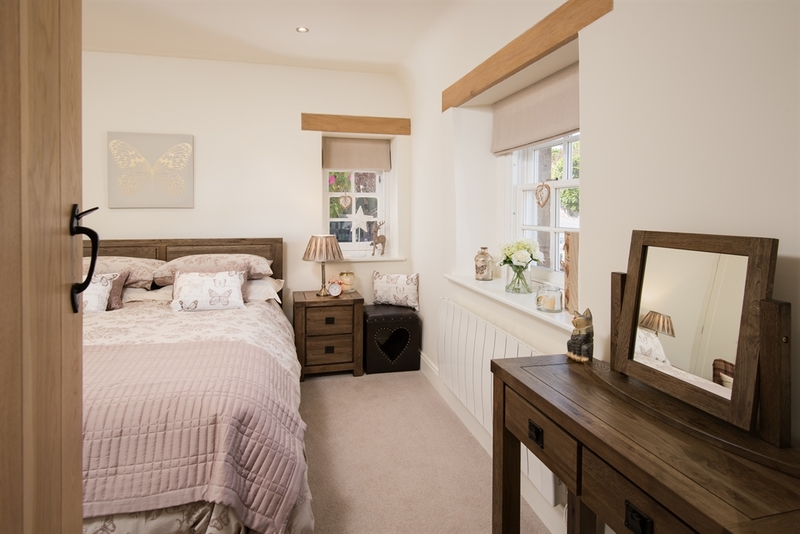 Bedroom one – with 5’ king size bed, dressing table with mirror, good storage space with full length mirror, side tables and armchair. 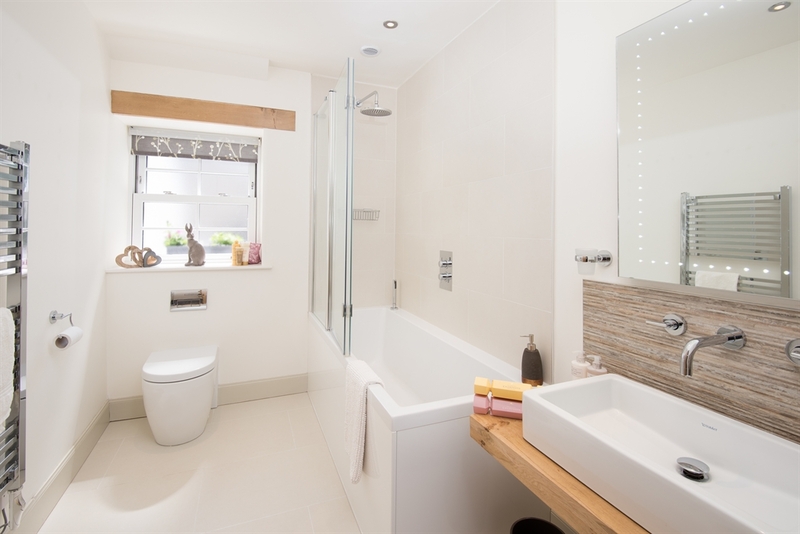 Bathroom – contemporary bathroom with high quality finishes comprising bath with shower over (rainforest head) along with a separate hand unit, heated towel rail, basin, and WC. 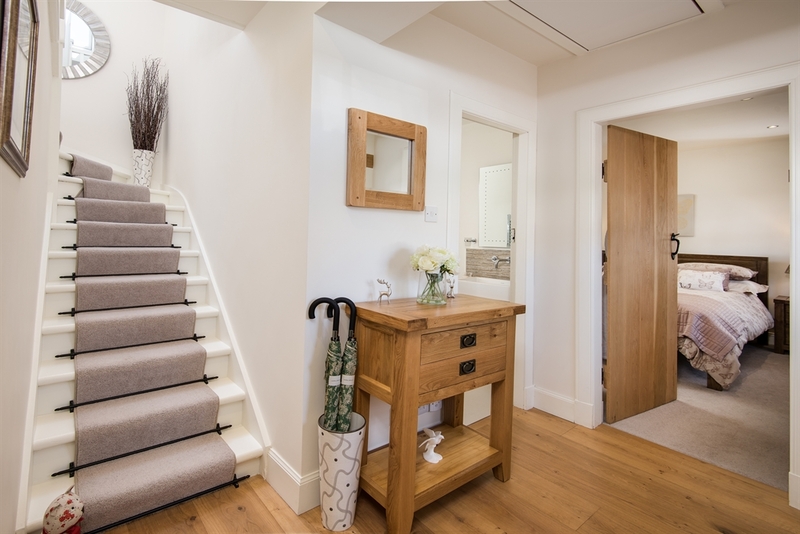 Stairs to the first floor leading to a bright landing with double snuggle sofa and a selection of books. The perfect place to read a book, check your emails or for the kids to have their own space. 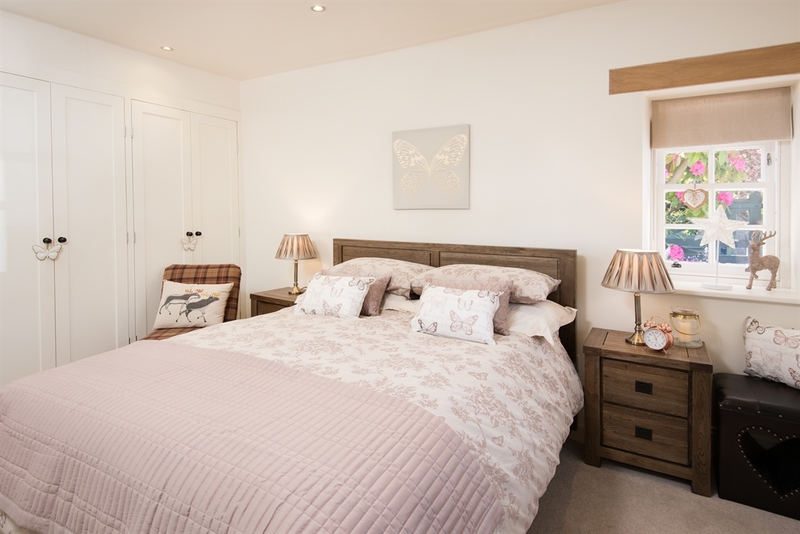 Bedroom two – with zip and link beds which can be adapted to super king or twin as required, side tables, dressing table with mirror, good storage space with full length mirror. Electric heating throughout the property. Woodburning stove in the sitting room – logs supplied. Underfloor heating to the kitchen and bathroom. An additional Dyson AM09 hot and cool fan heater is provided for guest use if required. 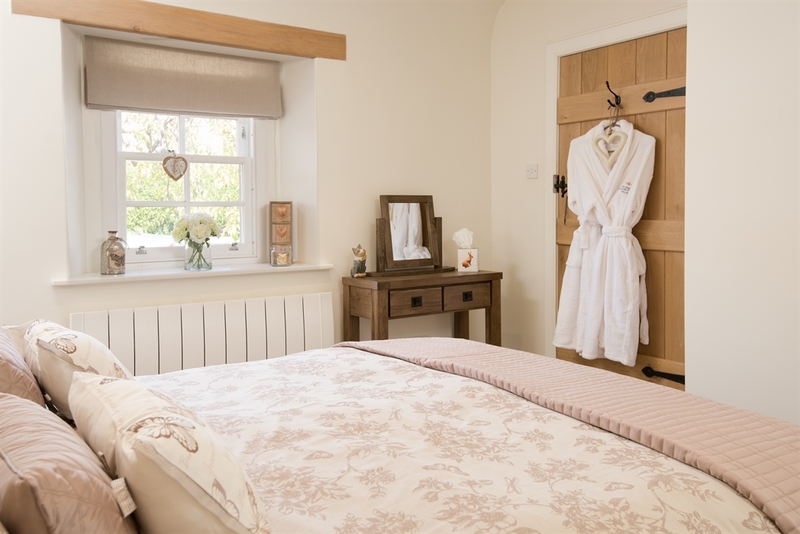 High quality bed linen, luxurious bath towels, hand towels and bath robes are provided for guests along with hand soaps and toiletries. A hairdryer is supplied in each bedroom. A travel cot and high chair are available on request. Guests should bring their own cot bedding. High speed fibre broadband is provided. Good mobile coverage on most networks. For that touch of indulgence to get your holiday off to a great start a bottle of Champagne will be on chill in the fridge awaiting your arrival. 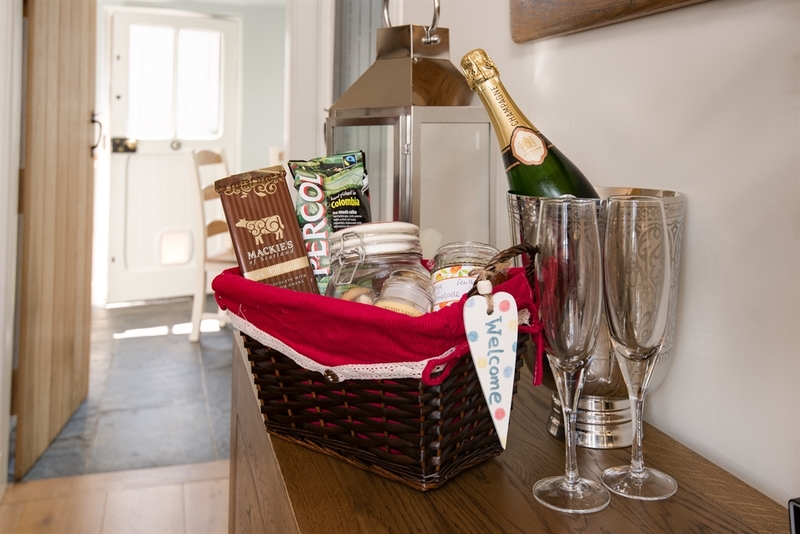 There is also a welcome basket with filter coffee, homemade preserves, homebaking and other seasonal treats. There is a small patio to the rear of the property which is fully enclosed. 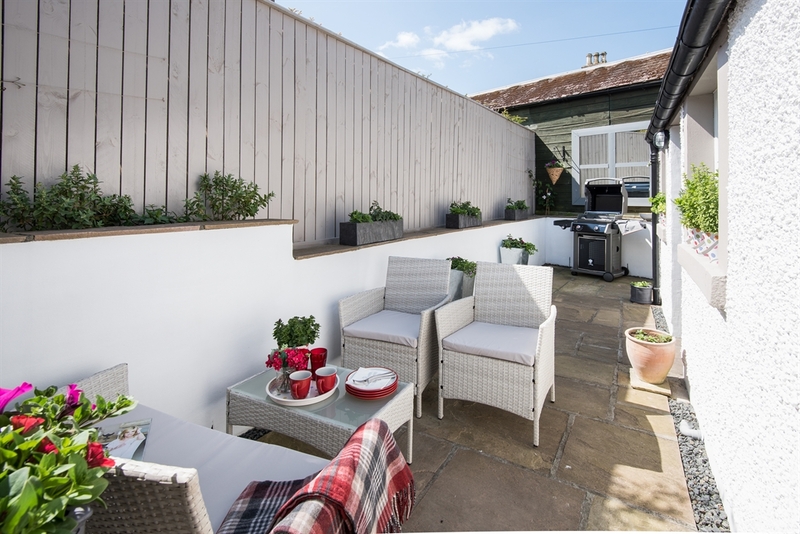 This has outside furniture, beautiful potted plants and a large Weber gas barbecue. The patio is accessed from the kitchen and leads to an outside store with washing machine and dryer. It also provides secure storage for bikes, fishing rods and outdoor gear. There is on-street parking in front of the cottage. Catering can be provided on request. A homemade meal delivery is popular for guests’ first night and wine delivery is available in conjunction with renowned wine merchants Corney & Barrow. Please contact Crabtree & Crabtree for details. Up to two well-behaved dogs are welcome at a cost of £25 per dog. They must be cleaned and dried in the laundry room before entering the cottage. Dogs are not permitted on the furniture, and must be kept on the ground floor - excluding master bedroom which is carpeted. Owners must provide their own pet bedding, bowls and towels. 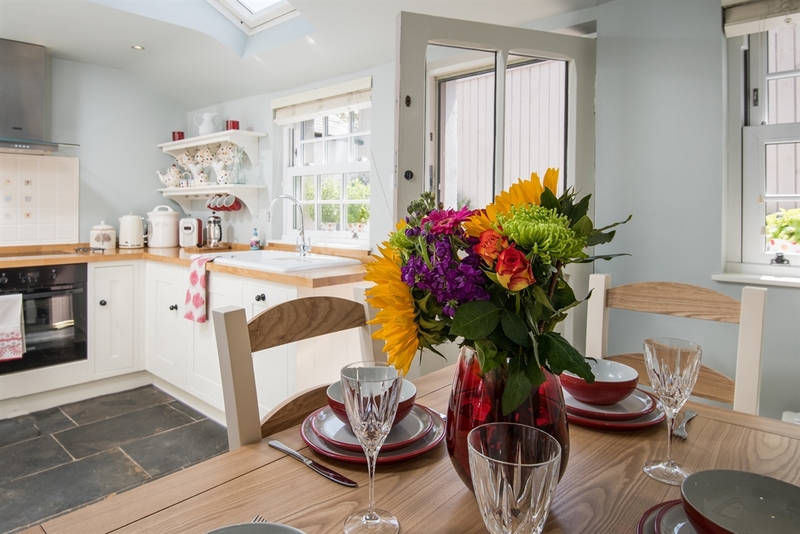 Kirkton Cottage is a detached property sitting in the peaceful conservation village of Bowden. The rear patio offers guest privacy and is not overlooked.